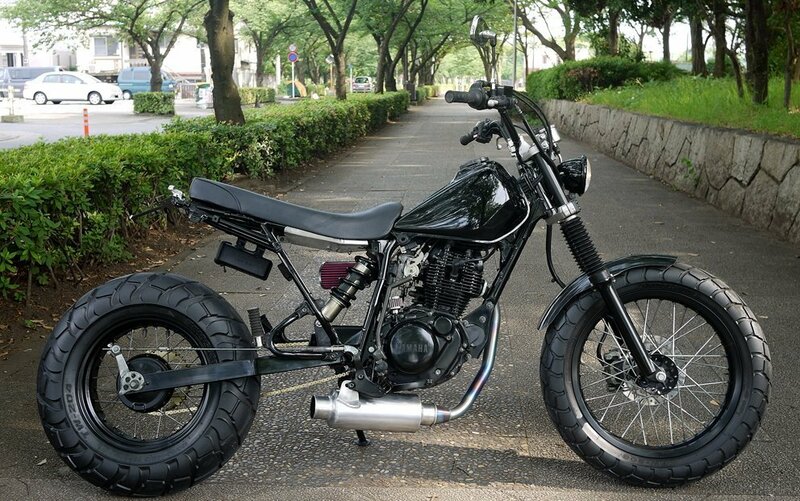 "After I discovered the identity of what I saw in Japan, naturally I began to scour the Internet for photos of customized TW200s and TW225s. Here are some of my favorites." This one is very nice, clean and simple. I like how the custom seat seems to have a little more meat than some of the others. I also like the small headlight. What I don't like is the long front fender and the can they have on this bike.